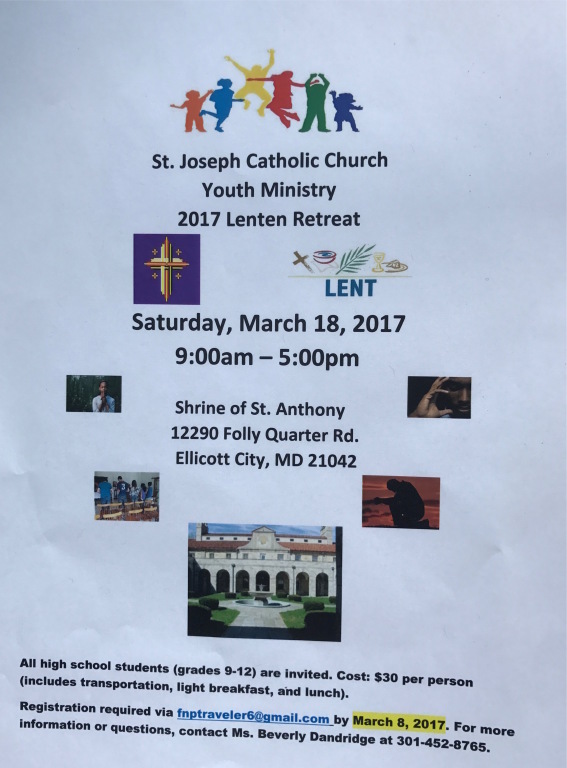 The mission of St. Joseph Youth Ministry is to create a space where high school youth can come together to learn and grow in their faith, through fellowship, adoration, and community service. We look forward to you joining us at future meetings on the 2nd and 4th Sundays of each month at 1:00pm. If you are interested in more information about the youth ministry, please take an youth ministry information sheet from the information table in the foyer.